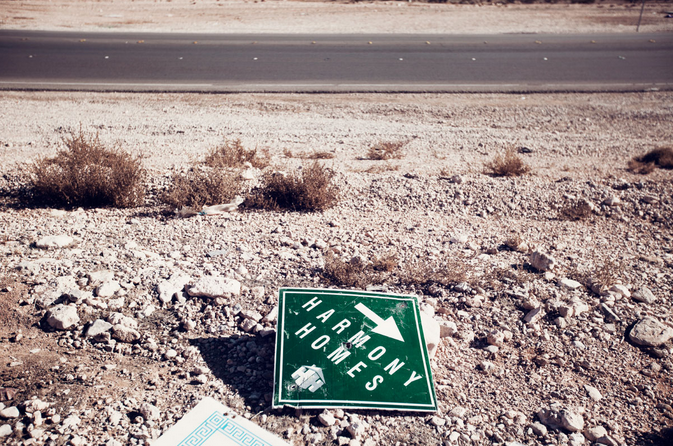 Can cities keep growing in the desert? These conversations pair together some of the smartest thinkers on water management issues to discuss the causes, perils and potential solutions surrounding the current crisis. It will be a virtual water crisis conference, featuring expert voices from different perspectives, including farming, the environment, water law, science and policy. How does a city exist in the desert? And not merely exist, but grow by leaps and bounds? 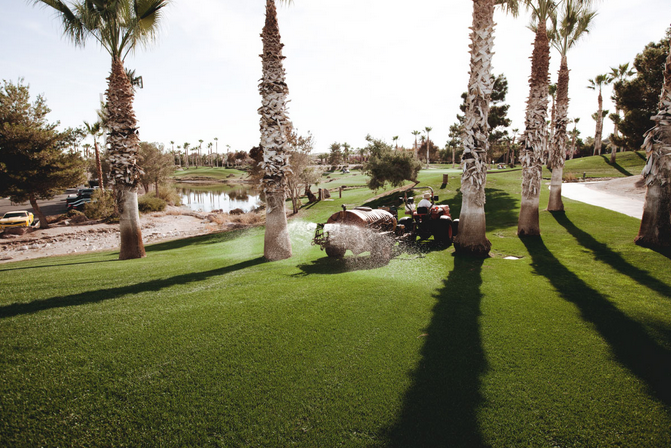 That’s what Las Vegas did, becoming an oasis of casinos, suburban expansion, golf courses and a water system surrounded by a waterless landscape. 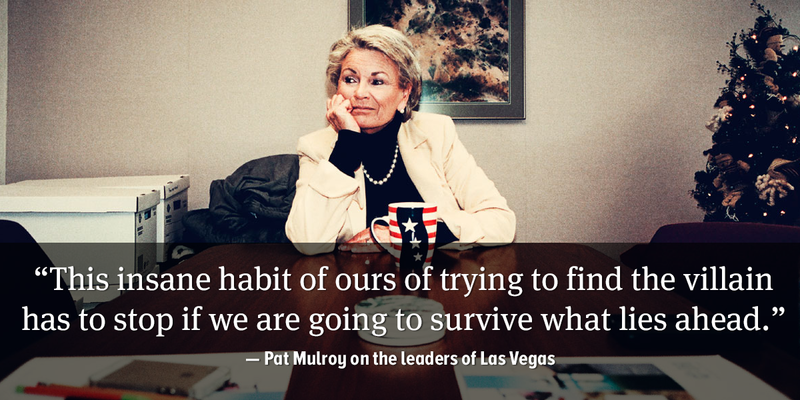 Pat Mulroy knows a lot about this as the Las Vegas Valley’s former chief water official (read our story about her time leading the Las Vegas Valley Water District and Southern Nevada Water Authority). Do geography and natural resources present limits for urban growth? Do water rights laws allow cities to get what they need to grow, or will something have to give? The short answer to the first question is yes, of course. Nature and geography have determined the location and shaped the character of human habitats from time immemorial. The second question raises the vexed matter of water “rights,” an issue with a complicated history. An “appropriative” system of water rights emerged in the 19th-century West to regulate the capture, storage and distribution of water [as it flowed out of the mountains, where most if fell as snowfall]. Sometimes the water was moved over great distances. Think the Owens River and Hetch-Hetchy projects that move water hundreds of miles to Los Angeles and San Francisco, respectively. Appropriative rights have some peculiar characteristics that we might call historical accidents, notably the fact that they are based on … “first in time, first in right” and “use it or lose it” principles. This system has been controversial and contested from its inception, will continue to be so, and will continue to complicate water issues throughout the West, not only in cities. Beyond that, the physical characteristics of the West require enormously expensive infrastructure to deliver water from its source to its destination. So it’s not just water “rights,” but the great expense of the West’s regional plumbing system that presents a major constraint for cities that depend on transporting their water supplies from distant places. Have something to say to David or Pat? Leave a response at the bottom of this post. I, of course, agree wholeheartedly with you that where a city is located dictates how it grows. Location dictates the kind of infrastructure required, the resource options available, the water quality challenges that have to be treated for, the water management strategies that have to be deployed, etc. It also dictates the kind of landscaping a community enjoys, whether green infrastructure is an option and even … urban design and zoning considerations. However, the second part of the question is completely wrong, even in the way it is framed. It has an underlying assumption that urban growth is the biggest strain on existing water supplies and that somehow finding a miracle formula to curtail it would solve the water challenges we are facing. In the most water-strained areas of the country populations have more than doubled and economic output has been significantly increased without a single additional drop of water being needed. In fact, the truth is that urban water demand has plummeted as people have become more aware of their water limitations and technology and smart urban planning have shrunk the individual user footprint by 50 percent or more. The majority of the planet’s water goes to grow the crops we need to survive. Despite the exploding urban populations the percentage split between agricultural and urban use has not changed. I am not attempting to redirect the finger of blame to the agricultural community. As the total number of people on the planet continues to skyrocket their challenge will be to grow ever-increasing amounts of food in the face of an uncertain water future. This insane habit of ours of trying to find the villain has to stop if we are going to survive what lies ahead. The problem is a shifting climate with longer droughts, more severe storm events and ocean levels that can wipe out entire communities. We have compounded that in many places around the world by contaminating the water supplies we do have. Against that backdrop we have a legal framework in the American West that was born of our pioneer days to protect those who faced the hazards of settling in these rugged lands. That set of laws (and the compacts that succeeded them) gave them a sense of certainty. As conditions have changed the user relationships have changed as well. New strategic partnerships are being forged as users have come to realize mutual benefit. One state banks water for dry periods on behalf of another; cities invest in agricultural conservation and farm improvements; and multiple diverse users join forces to protect and bolster the entire water system for the sake of preserving it for all. The biggest beneficiary of all these investments is the environment. With characteristic candor, Pat has plainly said what I ventured only to insinuate: that the question before us is wrongly framed when it suggests that the most urgent aspect of the West’s water crisis is urban growth. As Pat rightly says, individual householders and cities alike in the last few decades have made impressive gains in water conservation. Many of them have come thanks to … more efficient dishwashers, water heaters, and washing machines. Low-flush toilets and drought-resistant landscaping have also helped, as have much-improved technologies for wastewater treatment and recycling. So while we should all continue to be conscientious water stewards in our homes … it’s the region’s farms and pastures and orchards that should be the principal focus of our efforts to re-define the West’s water regimes. That’s where eighty percent of our managed water supply goes. Nearly 20 years ago … Marc Reisner’s Cadillac Desert performed a public service by raising public consciousness about … the elaborately complex character of the West’s plumbing system. But Reisner’s portrayal of the Bureau of Reclamation and the Corps of Engineers as heedless ravagers of the landscape — and of farmers and ranchers as the villainous Darth Vaders of the West — was, to put it mildly, considerably overdrawn. Lest we forget, those farmers and ranchers put food in our mouths and in millions of mouths well beyond the West. The next big challenge is to encourage the emergence of water markets that will do what markets do: allocate the resource in question most efficiently at prices all parties agree to. That won’t be easy, but neither was the settlement of the West in the first place. Water markets are greatly misunderstood. They have their place in the overall puzzle of finding solutions to the challenges we are facing, but they have to be framed, [and their success depends on] location, the magnitude of the market and the societal impacts of the invoked transfer. Metropolitan Water District of Southern California has had an active leasing program with Palo Verde Irrigation District for some time. Water leased has been strategically stored in Lake Mead over the years, and last year … it was those supplies that helped Metropolitan to weather the current drought. Across the West as urban development has displaced agricultural land uses, water has been sold as a compendium to the larger land transfer. However, as soon as the buyer is an urban area, or even agricultural user from another State, barriers to water sales immediately come up. [Those water transfers can] make it difficult if not impossible to plan water use in the state where the water originates. It quickly … turns into a competition between urban areas, where the one with the deepest pockets wins out. This dilemma is compounded when societal impacts are taken into consideration. A large water transfer does not merely affect the farmer who now no longer has the resource to grow his crops, even if he has been compensated for the transfer. A large number of farm workers and the remainder of the rural community whose livelihood comes from selling goods and services to the farmer [are also affected]. What happens in areas where the landowners are no longer the farmers and where those who lose their livelihoods are not those who will be compensated in a transfer? And in some areas … environmental impacts also loom large. Just look at the issue of the Salton Sea. Environmentalists and Palm Springs sees any transfer [of water away from] the Imperial Irrigation District as the demise of the Salton Sea, since it [has been filled almost] exclusively by irrigation runoff from the Irrigation District. [There are similar concerns about transfers of water] out of the Yuma, Arizona area, which could destroy the Cienega de Santa Clara, a wetland just over the Mexican border. That said, a new form of “market” is emerging that is designed to produce a common good — and that is the key. In the Lower Basin the three large urban regional agencies have pooled their resources to offer all users financial help in achieving conservation goals, including farmers who achieve those goals by fallowing some of their lands. Waters secured in this manner won’t belong to anybody. They will be held in Lake Mead to preserve the system for the benefit of all. To those who refuse to see their part in forging a larger solution for the benefit of all, awaits the very real destiny of experiencing first-hand the consequences being suffered today in rural communities just north of them.